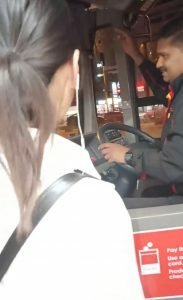 A woman who used her body to block Bus 43, bound for Punggol, outside MacPherson MRT and repeatedly scolded the bus driver for missing her bus stop was called a “national disgrace” by Chinese netizens. 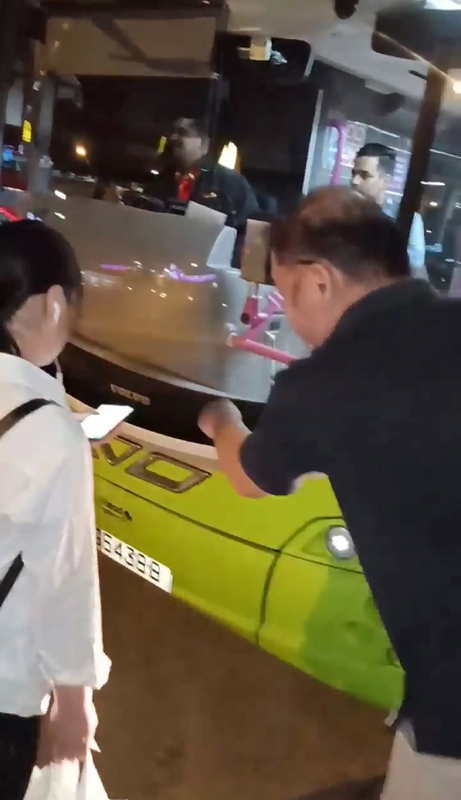 News on the woman’s behavior as captured in a four-minute video, originally uploaded by a Facebook user, Pravin Kumar on January 27, has gone viral not just in Singapore but also in China. 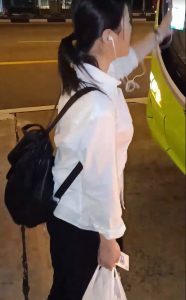 Chinese netizens condemned her ill-behavior shown to the public and towards the bus driver. They were unanimous in saying that the woman in the video had brought national shame to the rest of her fellow countrymen. After the display of the woman’s behavior, Singaporeans hurled strong criticisms on how the woman reacted negatively on her situation. Thousands of comments associated her with what country she came from. For the many Chinese netizens, she has humiliated her country and they seemed unforgiving on this matter. “A Chinese goes abroad and speaks Chinese to foreigners. 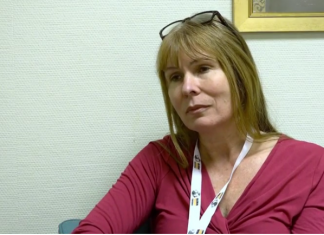 Does this not let foreigners look down on the Chinese? 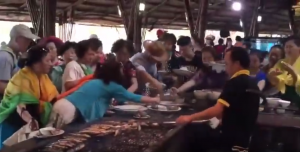 You’ve let foreigners think that the Chinese are uncultured. You went abroad despite not speaking English. “Wherever she goes she’s on her earphones and playing with her phone non-stop. She has no awareness and is relying on others. Is this ok? In 2012, China became the world’s top spender in international tourism and has remained so ever since. Zhu Shanzhong, executive director of the Madrid-based United Nations’ World Tourism Organization (UNWTO), urged Chinese tourists to protect their legitimate rights by not using irrational means. “Excessively protecting their legal rights as tourists or by using irrational means will hurt the Chinese tourists’ interests and tarnish the national image,” Zhu said. In 2017, Chinese tourists made 145 million cross-border trips according to the China Outbound Tourism Research Institute. The tourism institute predicted that overseas trips by Chinese citizens will increase to more than 400 million by 2030. Although China has been the world’s largest outbound tourism market for the past years, their often unruly and uncouth behaviour has attracted much criticism. Chinese tourists have improved their manners in the past five years but overall perceptions remain negative, according to a 2017 report by China’s tourism authority. To improve the image of Chinese tourists abroad, major Chinese organisations such as Ctrip, China’s biggest online travel agency, ensure that Chinese travelers are taught better manners through email dispatches, updates on Tencent’s WeChat app, and in-person training sessions. In 2016, the search for “Good Chinese Tourists” was launched in Beijing by the China National Tourism Administration, Ctrip, and the country’s first national English newspaper China Daily. The program aimed to make Chinese tourists the ambassador of China and its culture, who can also be the best storyteller of China.